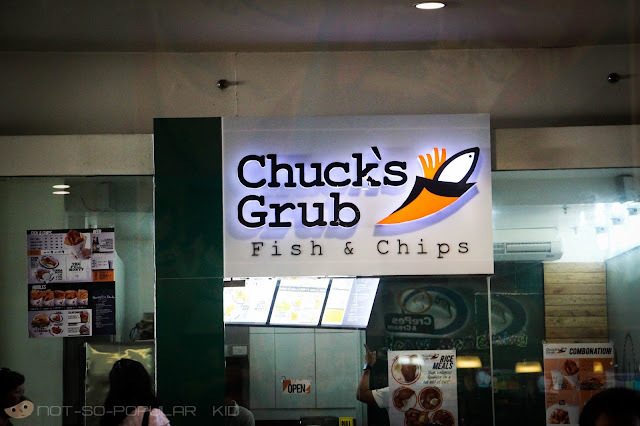 Chuck's Grub Fish & Chips is now open in Mall of Asia, and we were able to give it a try last Saturday (May 18, 2013). 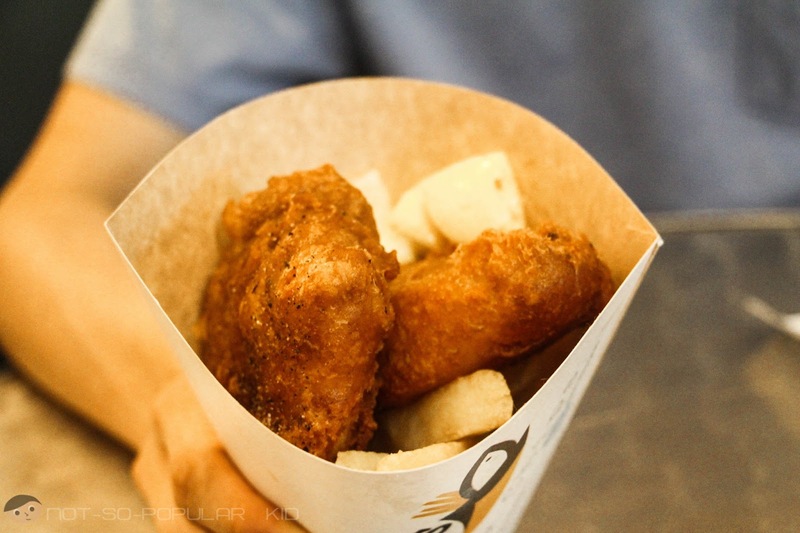 Whether you are rushing for something or planning to chill out, Chuck's Grub is there to offer you a bunch of delightful fish and chips! 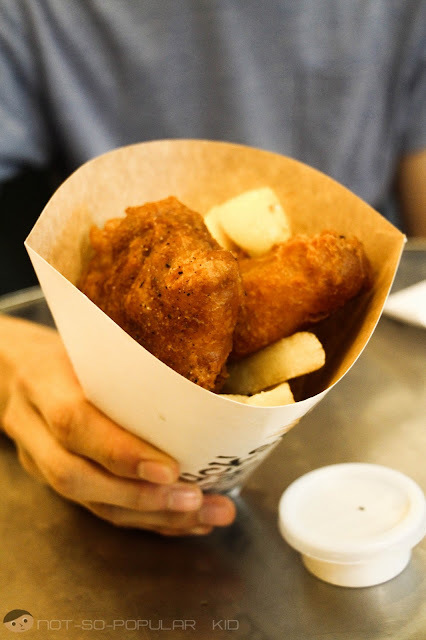 Contained in a handy paper cone, the fish and chips (normally, fries) gives you flexibility on whether you'll bring it with you as you stride towards your destination or peacefully enjoy it in-store. 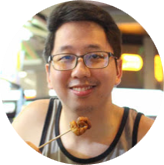 This Chuck's Grub branch in MoA is located just in front of Crepes and Cream. Related Post: CREPES AND CREAM: Ice Cream Edition! What we had was the basic Dory and Chips (with 2 pieces of fried Dory and a generous serving of fries) valued at P130. The taste of the fish was distinguished by how fresh the fish was, and the light salty flavor of the thin tasty batter didn't heavily take away the attention. 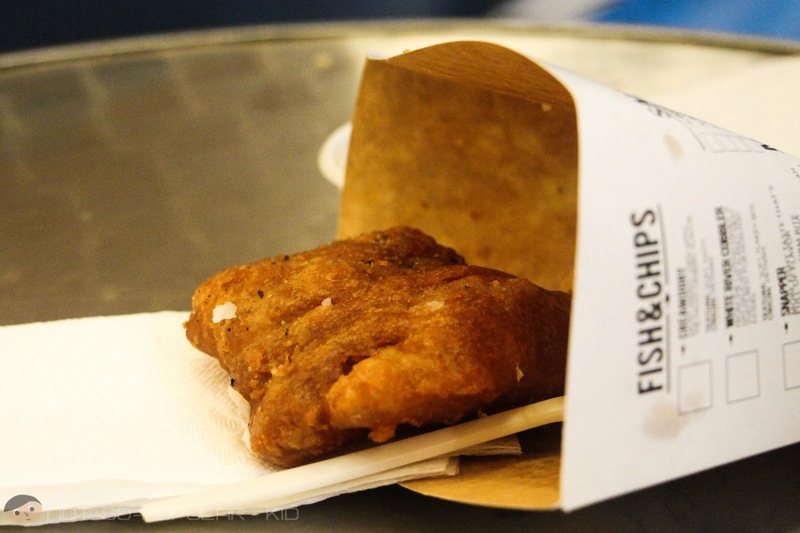 Somehow it reminded me of the Battered Dory of Exile on Main St. in Taft. Although I enjoyed the dip came along with the dory and fries, I didn't find it very unique. In fact, I still believe that the sauce/dip in Exile on main St. would win over it. I haven't tasted a lot of fried Dory, but I am sure that I haven't tasted the best yet. 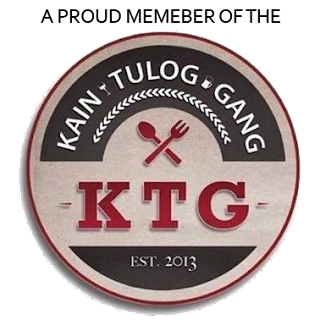 There's something I am looking for in this dish. As of now, I still don't have an idea of what it is or what they are. One thing's I'm sure of, however, I'll immediately know it once I find it.